Doctors normally prescribe Amoxicillin during pregnancy to treat infections. It is generally considered safe. Still, here is something you need to know about this drug. US FDA uses a category system to measure the safety of drugs and food during pregnancy and amoxicillin has been awarded Category B. In lay terms, it means that the drug has been found safe in animal testing but there is insufficient data to collaborate the effects of Amoxicillin in humans. One cannot be sure about the safety or risks of using amoxicillin when pregnant. High doses of amoxicillin were administered to pregnant rats and other animals. They showed no harmful effects during the gestation period and there were no side effects on the babies born. Unfortunately, not enough research has been done on human subjects. This is why, one cannot be confident if it is entirely safe for women when they are pregnant. The side effects of amoxicillin on the growing fetus are not known. Amoxicillin is also found in breast milk if the lactating mother is using the antibiotics, and is undoubtedly passed on to the baby. This is especially true when the mother is prescribed slow-release amoxicillin. Again, the side effects are not known. In the absence of enough data and a concrete conclusion about the effects of amoxicillin use in pregnant women, the FDA has taken the safe route to awarding category B to amoxicillin. It would be advisable to avoid the antibiotic during pregnancy and take it only when it is mandatory. Also never, use amoxicillin or any other antibiotic unless prescribed by your doctor. Currently amoxicillin is prescribed to pregnant women only when the doctor feels that the benefits of the drug outweigh any risk the baby may be exposed to. Nursing mothers too should be careful about the use of amoxicillin. 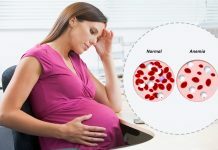 Is Bleeding Gums During Pregnancy a Sign of Periodontitis? Why Acidity is Common in Pregnancy? How Can You Naturally Treat It? 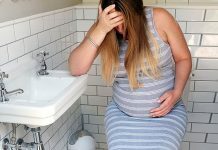 Is Constipation Bad During Pregnancy?